ASOS is usually sort of hit and miss for me, but on my most recent order I really scored some good stuff! 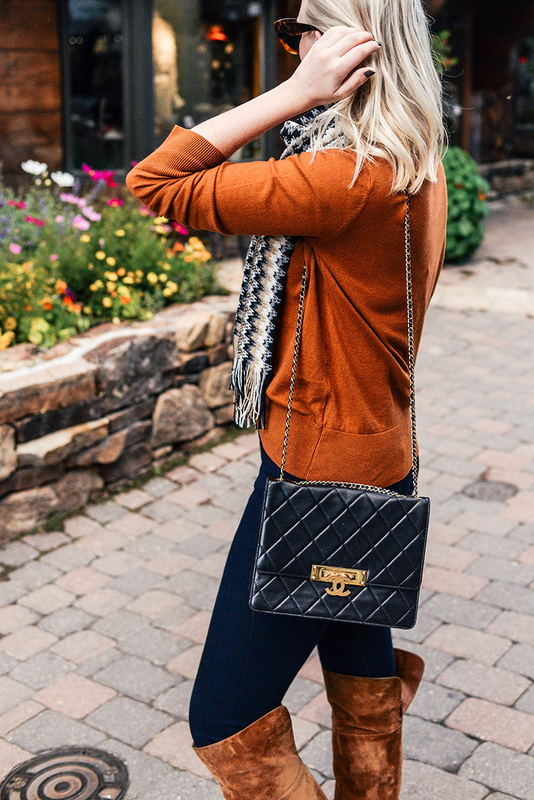 I found the dress in this post, the cardigan in this post, and this great burnt orange mock neck sweater! All three pieces were under $100 and great quality for the price. 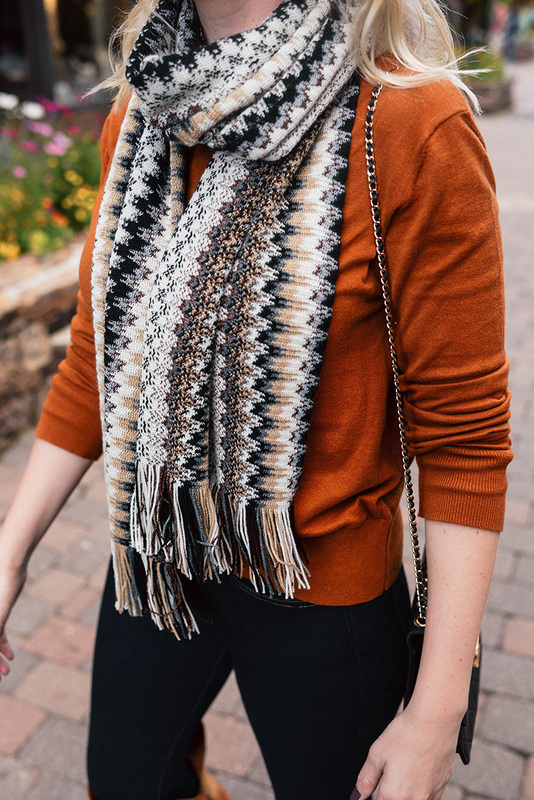 Unfortunately this particular sweater is nearly sold out, but I did find a few other burnt orange knits for you to check out – perfect for UT football games once the weather cools down. Don’t miss this, this, this and this. This rust-hued polka dot dress would be SO FUN for date night or an event! I love a good velvet piece, and I wouldn’t mind getting my hands on this burgundy mock neck top. I am OBSESSED with this coat!! The silhouette is a classic, but it’s such an amazing autumn color. It’s also only $135. This $57 sweater makes me think of candy corn, and I love it! This easy sweater is a work-to-weekend staple in the most beautiful burgundy hue. Looking for faux fur? This jacket is adorable. This two piece sweater and midi skirt combo is so chic and cozy! Speaking of coordinated pieces, don’t miss this cute suit! Here’s one in burnt orange too. I don’t think this would be flattering on me, but it is so adorable and perfect for winter! I’m really loving the color of your sweater!! Lately i’ve been into it! Thanks for posting burnt orange choices for UT football games! All great choices, but do really like the ribbed knit sweater, now if the weather would cool off!